The Hewlett-Packard 644016-001 is a motherboard designed for use in computer systems. The motherboard unit is intended for use with HP computers, specifically with the Compaq M2N68-LA. The Hewlett-Packard motherboard uses a computer chipset manufactured by AMD. The chipset allows the motherboard to communicate with other computing devices, and this particular set works best with HP and AMD hardware. The motherboard from Hewlett-Packard is an LGA 1155 socket type. A graphics card is integrated in the LGA 1155 socket motherboard to offer graphics support for a computer system. The Hewlett-Packard 644016-001 utilizes a micro-ATX form factor. The hard drive interface built into the Hewlett-Packard motherboard is of the SATA type. The memory type for the LGA 1155 socket motherboard is double data rate type three (DDR3). The Hewlett-Packard motherboard uses a VGA+DVI display interface. Connection options for integration into the computer motherboard from HP are dual 240-pin DDR3 DIMM slots, the DVI port, the VGA port, multiple express slots, three USB 2.0 ports, and more. 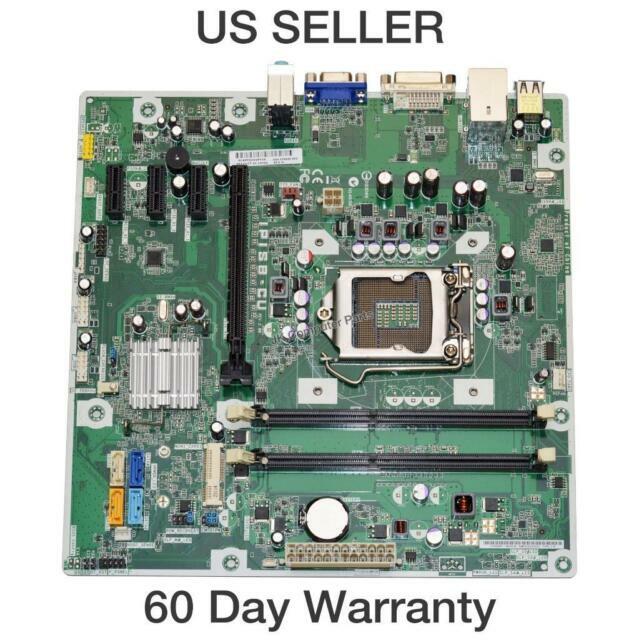 Other features present on this HP motherboard include built-in high definition six-channel sound, a Realtek ALC656 sound card, support for 32-bit or 64-bit operating systems, and single-channel memory architecture. My HP motherboard locked up and wouldn't boot due to a bad BIOS upgrade. Swapping in this motherboard for my bad one fixed the system! I had to move the jumpers to CLR the BIOS first on the new board, and then it came up just fine. It wouldn't come up until I did that, which is expected. Had to replace a motherboard in an HP due to bad flash program from HP (Don't follow HP's software updater). Replaced without problem and computer up and running again. Excenlent ! Thanks so much !